Hanukkah at University - A minarchist among monarchists. I don't have a hanukkiah at Kent. Or the proper candles. But little things like that aren't going to stop me. 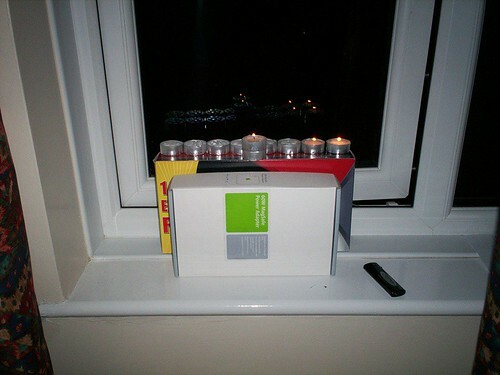 Hanukkah at University, originally uploaded by Brent Royal-Gordon. ...for some reason listening to a talk on creativity really suits this. You make me happy, Brent. Seriously. This post made my day. You do know that those candles contribute to global warming, right?